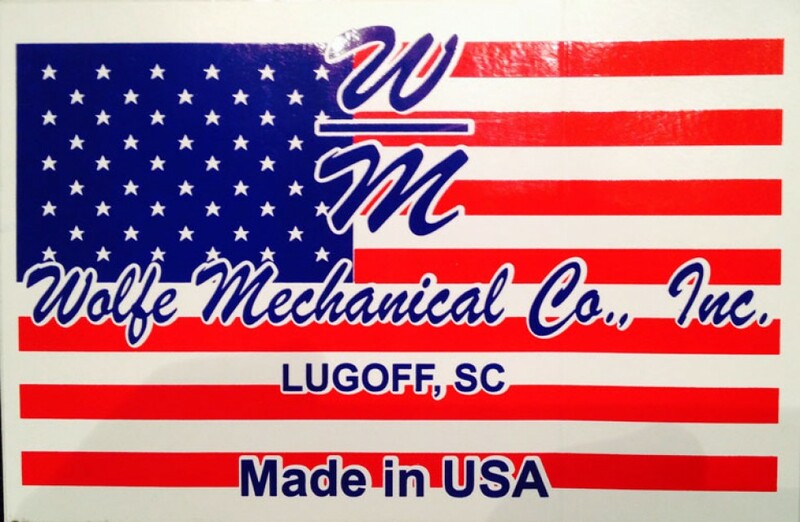 In 1971, Bob Wolfe started his own heat, air and duct work business right here in Lugoff, South Carolina, just a bit northeast of Columbia. Lugoff was close enough to the sites of textile companies that were thriving about that time, and that presented a golden opportunity. The textile companies needed tanks, so Wolfe Mechanical began manufacturing them. By the early 1980s the textile industry began to decline, but chemical companies were on the rise. Wolfe began manufacturing pressure vessels to meet their needs. The company handled more and more custom projects and soon it was a manufacturer’s dream – one business that was able to do everything from fabricating industrial tanks, vessels and coils to installing and repairing them. After helping Wolfe Mechanical through the growing years and establishing it as a first-class fabrication company, Bob retired in 1992, turning the company over to his son, Kip, to carry on the family tradition of quality fabrication for industry. Kip Wolfe continues to serve as president of Wolfe Mechanical.